I’m not going to bring up the don’t be evil quote, but clearly Google is beginning to lose control of their empire. Rouge employees do what they think is best for the company, but cleaning house won’t change things. It’s a culture of attack competitors and apologize later. I’m sure Google will eventually “make right” what happened, but what about all those times they haven’t gotten caught? 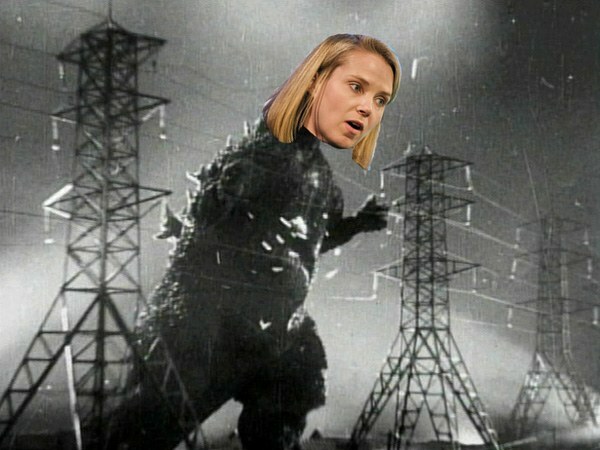 Googlezilla is a dangerous beast. It comes out of the water and starts messing with your pretty little town. Truthfully, this is a management problem. The chair moisteners from Sector 7G are being either told to do this directly or indirectly by someone else. Hopefully Google changes their management style to clamp down on these issues. **Update: **RWW has confirmation from Google that these were two people doing unauthorized edits on the company dime. Again, clearly this is a management problem.